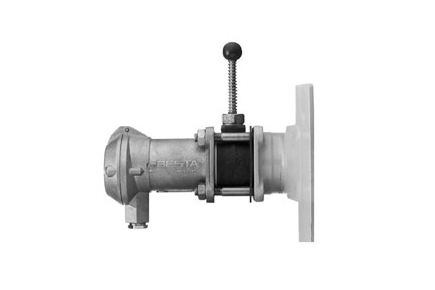 The simplest method of installing any TriMod Besta level switch of the Standard Range and the Compact Switch with a square flange, is to use our standard weld-on counterflanges. There are carbon steel (C22.8) and stainless steel (1.4404) versions in two different lengths available. The test actuator allows a periodic manual function check of the level switch in operating status. The function of the switching element (microswitch, proximity switch, pneumatic valve) and movement of the float can be tested.